We are always trying to adopt a healthier lifestyle and if you are looking for one of the things that can help you in achieving that healthy lifestyle then one way is by using the Hawkins pressure pan. A pressure pan can help you in cooking up healthy food items which can ultimately be an extremely good decision for you and your family. There are also a number of Hawkins pressure cookers that you can buy; however, there is a range of the pressure cookers that far exceeds the other variants in this brand. And those four major pressure cookers produced by the company Hawkins are the Hawkins Contura Hard Anodized Aluminium Pressure Cooker, 3 Liters, Black, the Hawkins HF7L Futura Hard Anodized Pressure Cooker, 7 Liter, Hawkins Classic Aluminium Pressure Cooker, 6.5 Liters, and Hawkins Contura Hard Anodized Induction Compatible Extra Thick Base Pressure. All these pressure cookers are of an extremely high quality but these pressure cookers also have some variations within themselves which can give one of the pressure cookers an advantage over the others. 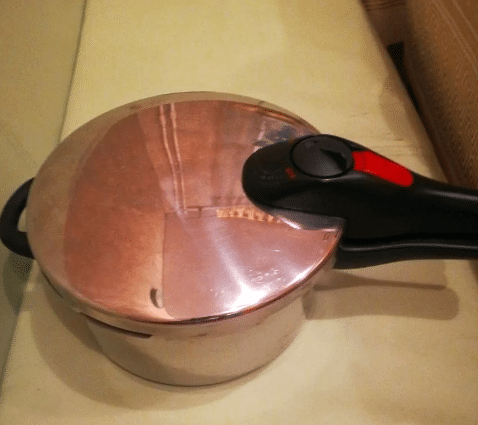 We will be discussing all the specific features about these pressure cookers in this best Hawkins pressure cooker review. 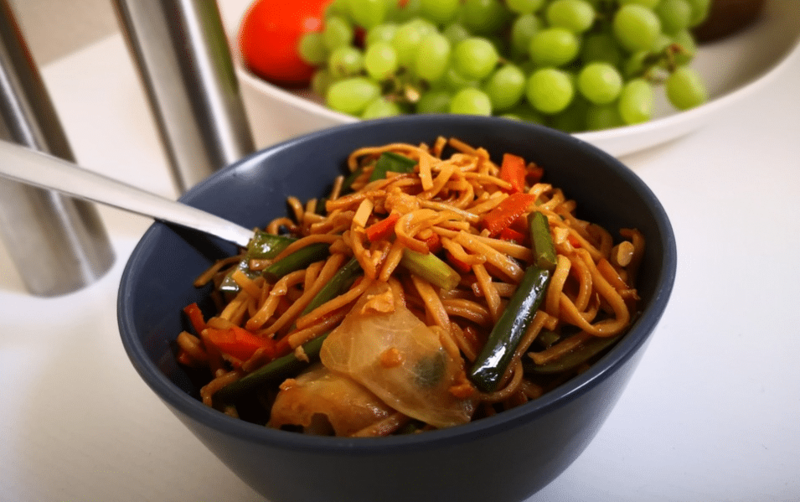 There are a large number of dishes that an individual can choose to prepare or cook with the help of a pressure cooker. And some of those dishes that any particular individual can cook with the help of a pressure cooker are rice, vegetable broth, oatmeal, various kinds of baby food, risotto, chili, and sloppy joes, applesauce, stews, soups, and many other dishes. 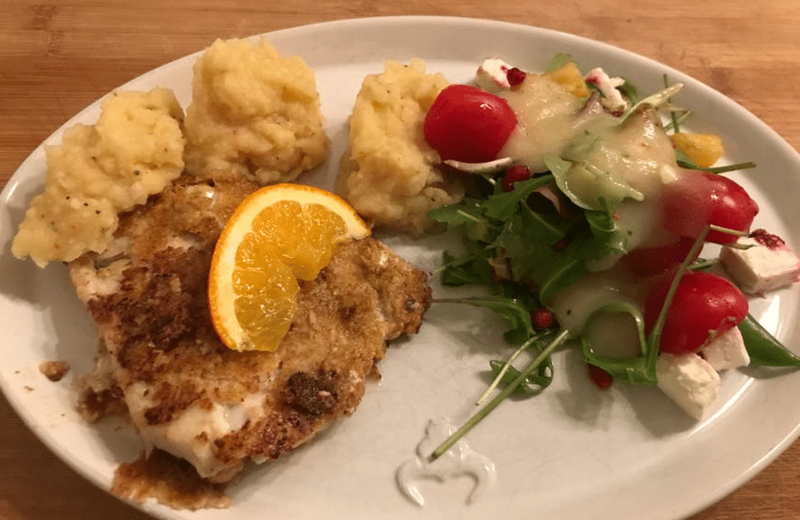 However, if you wish to make these dishes effectively and with some delicious outcomes then it is important for you to use only the best and the most suitable pressure cooker for you and your entire family. Currently, the company named Hawkins has some of the best pressure cookers that you can use. And those best pressure cookers of Hawkins that you can use are mentioned below. These are all the best pressure cookers that the company named Hawkins currently produces. And now we will be mentioning about the specific qualities like the Hawkins pressure cooker weight, the capacity, the material, and many other specific qualities of all these pressure cookers in a table for the ease of comparison for all our users. These are all the major points that you should be aware of before you decide to purchase any of those Hawkins pressure cookers which are mentioned in the list above. Apart from the table that we have mentioned above, we will also be discussing the specific properties of those Hawkins pressure cookers in more detail here. The properties of all the major Hawkins pressure cookers are mentioned below in a detailed manner. The Body of the Pressure Cooker: The Hawkins pressure cooker comes with a rather impressive body design and structure. The curved design of the pressure cookers enables this pressure cooker to provide its users with an enhanced visibility of the food items, more ease in removal of the food items, and enhanced ease during the stirring of the food items. The Other Important Features: This pressure cooker further comes with sturdy handles and some airtight steel lids. Apart from both of these features, the pressure cooker also comes equipped with a steel clip on the lid and a safety valve. The Compatibility: This pressure cooker is only gas stove compatible. 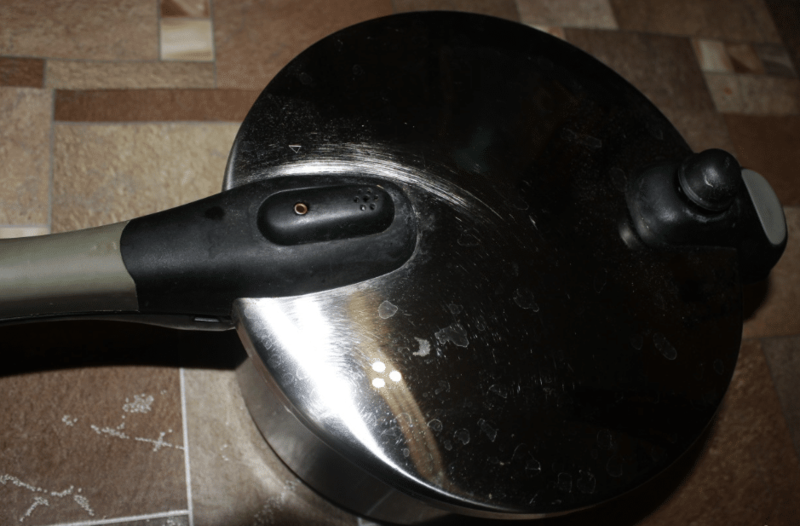 The Corrosion or Reaction: The pressure cooker comes with a non-corroding hard anodized surface. The Volume or Size Variant: This pressure cooker is available in a total of eight volume or size variants. And those eight different volume or size variants of this pressure cooker are the 1.5 liters pressure cooker, the 3, 4, 5, 6.5, 8, 10, and 12 liters. 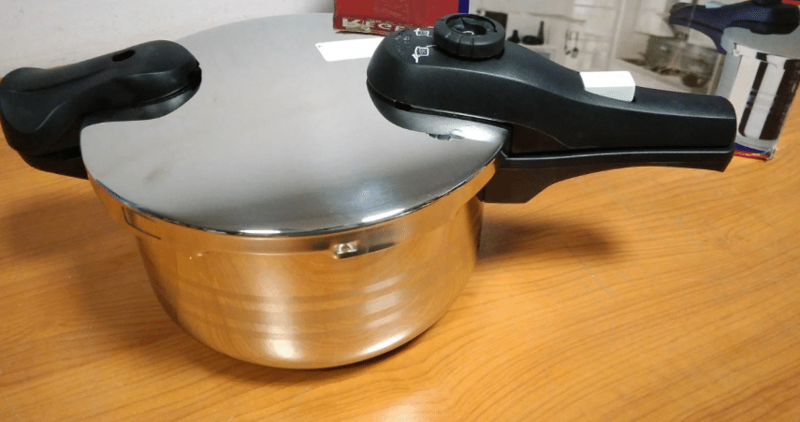 This is also one of the most commonly sold 5 liter pressure cooker. 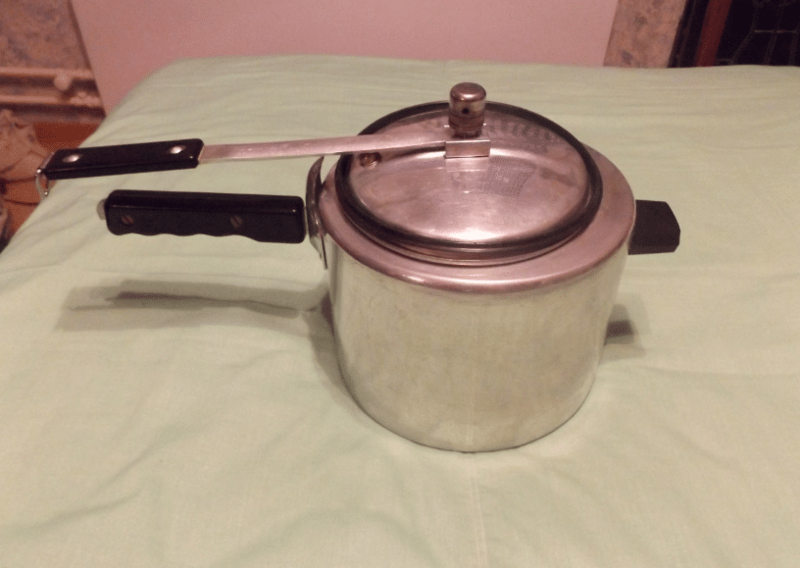 The Body of the Pressure Cooker: The pressure cooker comes with a body that has rounded sides. 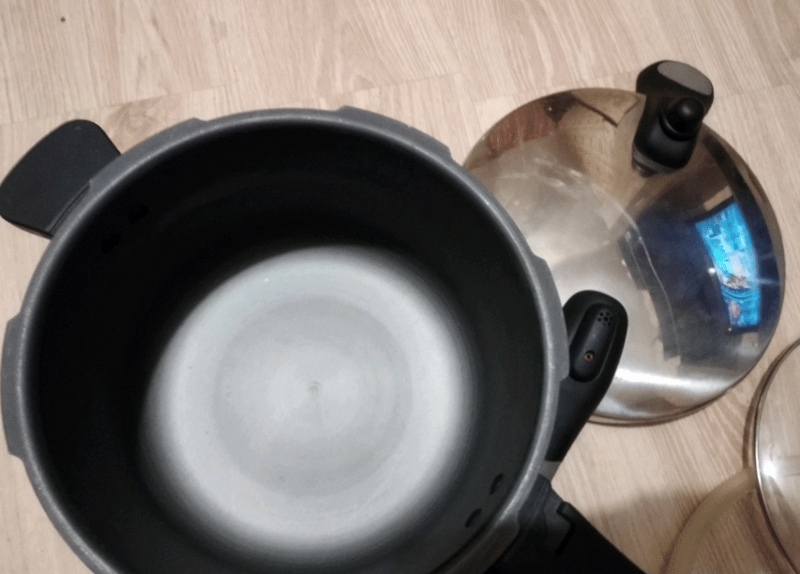 These rounded sides of the pressure cooker provide its users with the added benefits of easier stirring, ease in removal of food items, and an enhanced visibility feature. The pressure cooker also has a base that is around 4.88 mm thick. 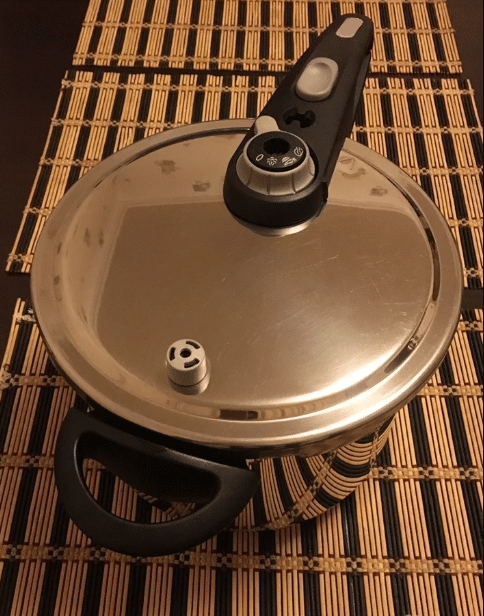 There is also an AISI 430 grade magnetic stainless steel plate which is attached to the extremely thick base of this pressure cooker. This extra thick base also enables this pressure cooker to heat up more quickly and further retain more heat for a longer period of time. These are all the major points that you should know about the Hawkins pressure cookers that were mentioned above. Why Should You Use a Pressure Cooker? First, we will be looking at some of the biggest benefits of using a pressure cooker. And those specific benefits of using a pressure cooker are mentioned below. According to a number of different studies, it has been found out that food that is cooked in a pressure cooker does not just taste better but it further has more nutrients than compared to the food that was simply cooked in some kind of other cookware. When you choose to cook a meal in a pressure cooker then you are actually saving a lot of valuable energy. According to a number of different studies, food cooked in a pressure cooker saves up to a total of 70% of your precious time. This simply means that if you are in a hurry and you have to cook yourself something then you can actually cook something in a pressure cooker. This will both be easy for you and would further save you some time. 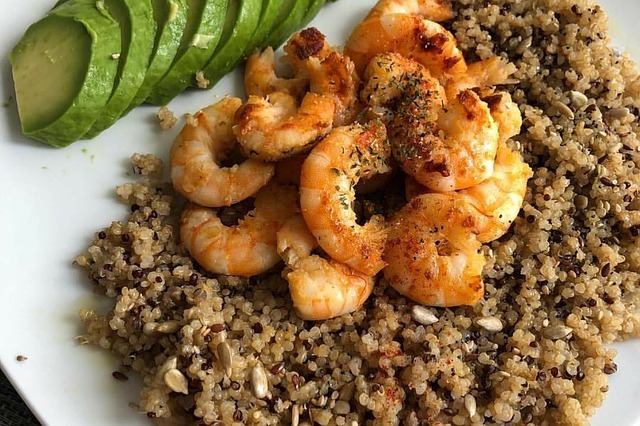 You must have observed that it is significantly harder and more stressful to cook during the summer months in comparison to the winter months. This is simply because of the fact that during the summer months the temperature is too hot, there might be heat waves, the increased humidity, and other factors might actually make your kitchen heat up more. However, with the help of a pressure cooker, you can actually cook your meals easily during the summer months as a pressure cooker consumes less energy in comparison to the other cookware. This is one of the most obvious benefits of using any particular pressure cooker. Most of us are aware of the simple fact that a pressure cooker is comparatively easier to clean than the other pieces of cookware. Pressure cookers were actually designed with the aim of allowing its users to store and preserve their food items. Because of this particular reason, some of the larger pressure cookers are also referred to as ‘canners’. These are all the major benefits of using a pressure cooker. Now we will be looking at some of the major points that you should consider before going ahead and buying some kind of pressure cooker from any particular store. And those specific points that you should consider before purchasing any particular pressure cooker are mentioned below. We are currently living in a digital world. And in this digital world, we have access to many different kinds of superior technologies. These technologies are present in a number of different parts of our lives so it doesn’t come as a surprise that we now have more technologically advanced pressure cookers. Hence, now you also get to have a choice about whether you want to go for a classic pressure cooker or if you would prefer to have a more technologically advanced pressure cooker. Before you go ahead decide about the exact kind of pressure cooker you want it is also important for you to go through the various manuals of those pressure cookers. It is also suggested that you should also make it a point to go through various trusted reviews of those pressure cookers before deciding about which one of those pressure cookers you wish to buy. There are a number of different pressure cookers that are available in the market. And because of that fact, you can also find a number of different pressure cookers in the market that range in terms of their capacity or size. Hence, it is important for you to consider the exact capacity of the pressure cooker that you wish to purchase. In the age of globalization, we can easily various pressure cookers which are made up of different materials. And because of this fact, we suggest that you should do a thorough research before you decide or make up your mind regarding the kind of material you want your pressure cooker to be made up of. 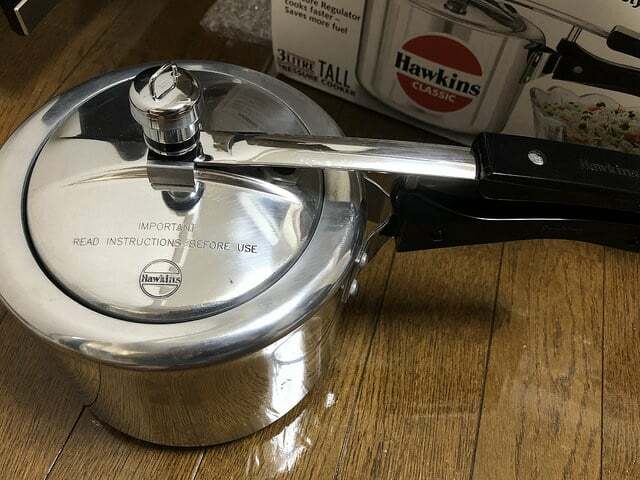 Hence, it is recommended that you should not just look for a Hawkins stainless steel pressure cooker but you should further look for other pressure cookers that might be made up of different materials. While deciding to buy any kind of pressure cooker, it is also important for you to ensure that you go through the various other details that might be related to the pressure cooker which you are planning to buy. And some of those other finer details could be the warranty of the pressure cooker, its color, its visibility, its overall structure, its compatibility, ease of heating, and many other factors. These are all the major points that you should keep in mind before deciding to purchase any kind of pressure cooker. We have mentioned a number of different features and uses of the various Hawkins pressure cookers in this review. We have considered a total of four of the best pressure cookers that the company named Hawkins currently produces. And after going through the entire review in detail it might have come across almost as obvious that each of these pressure cookers has their own advantages and disadvantages associated with it. So, it can be quite hard to conclude about which of these Hawkins pressure cookers you should go ahead and buy for yourself and your entire family. But it can be said that if you wish to buy the perfect pressure cooker which will be suitable for all your needs then it is important for you to be aware of all of your needs. You should be aware of all the specific features that you would want your pressure cooker to have. And once you are aware of all the specific features that you would want in your perfect Hawkins pressure cooker then you can narrow down your choice of the pressure cooker.